S7 Technics, Russia’s leading independent maintenance, repair and overhaul (MRO) services provider, has begun the restoration to airworthiness of two Superjet 100s (SSJ 100s) owned by the State Transport Leasing Company (GTLK). 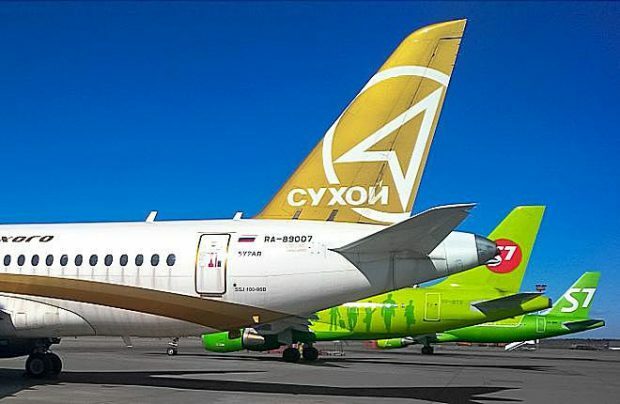 The aircraft are among the first serial models manufactured by Sukhoi Civil Aircraft Co (SCAC), with registration numbers RA-89004 (MSN 95012) and RA-89007 (MSN 95015). The original operator of these aircraft was Aeroflot and the second was the Moscow branch of Center-South Airlines. Both aircraft are configured with 12 business and 75 economy class seats. Three years ago these Superjets were transferred under an operational lease agreement to Buryatskie Airlines, but they stayed on the ground when the Federal Air Transport Agency cancelled the carrier’s AOC at the beginning of 2017. GTLK, Russia’s largest aircraft lease specialist, plans to re-market the SSJ 100s, which have not flown for a long time, by the end of this year. Both aircraft have lain idle at Moscow’s Sheremetyevo airport since the autumn of 2015, when Center-South ceased operations. GTLK told ATO.ru that the restoration to airworthiness of both aircraft is scheduled for July and August, while obtaining the airworthiness certificates is planned for November and December of 2019. As of the end of March, GTLK had officially taken delivery of 41 SSJ 100s from SCAC.